Click for the recipe after the jump! 2. Cut bell peppers in half, discarding seeds. 3. In a mixing bowl, mix together meat, quinoa, egg, seasonings, 3 tbs tomato sauce. 4. 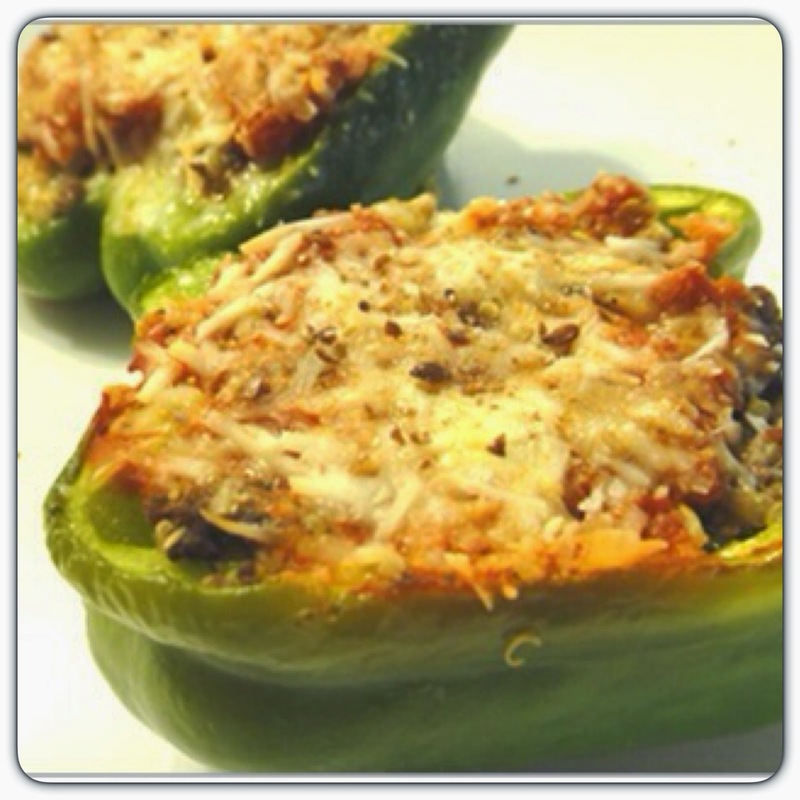 Stuff each pepper half with mixture, top with remaining tomato sauce, sprinkle with cheese and bake for 45 min.